Have earned you points to spare. This entry was posted in A Wounded Heart, Courage, Dealing with Difficulties, Freedom, Letting Go, Nature, Poetry, Summer and tagged hard knocks, letting go of the past, photography, plebians, poem, rising above circumstances. Fun! Thank you for your post! This is wonderful poem with a great picture. Do we learn to fly or clip the wings of those trying? 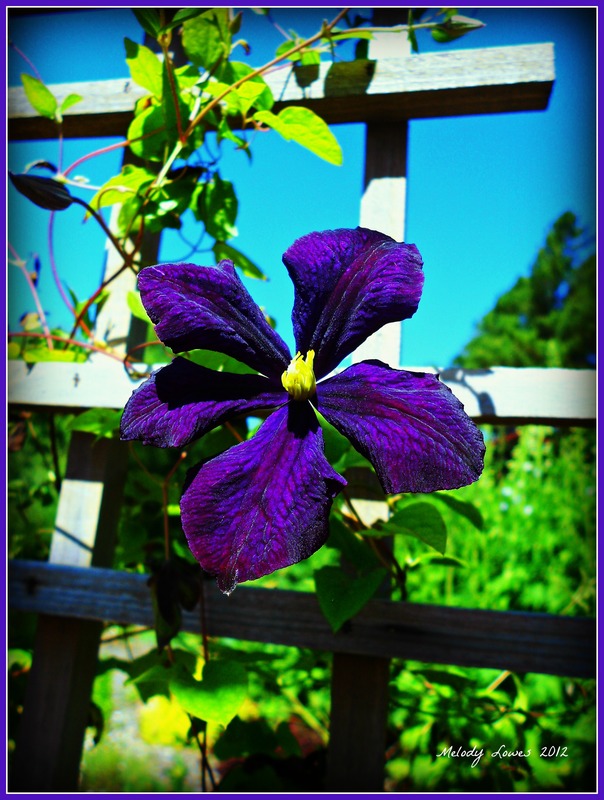 Love the color of the clematis? Is this the name of your plant? Yes, it is a clematis variety – lovely, isn’t it? Gorgeous–both the message, poetically written, and the lovely photo! God bless you!